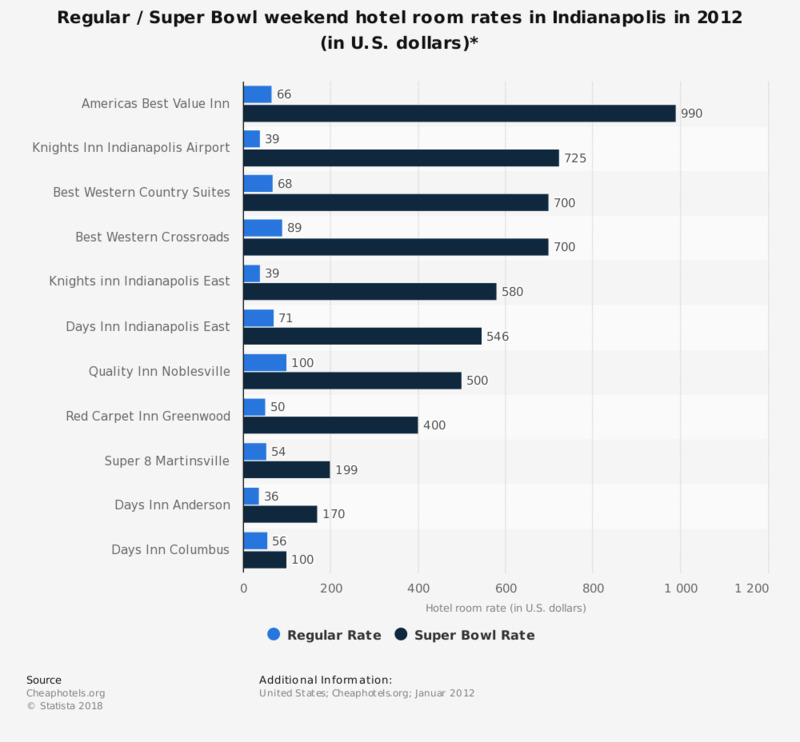 The statistic shows a comparison of regular room rates and Super Bowl XLVI room rates for hotel rooms in Indianapolis in 2012. The Americas Best Value Inn has a regular room rate of 66 U.S. dollars compared to a room rate of 990 U.S. dollars during Super Bowl XLVI. * Regular rate is for a standard double room; Super Bowl rate - February 5 into February 6. The hotel booking sites Expedia, Priceline and Orbitz were used to compare room rates. Have you ever watched the Super Bowl? If you had to choose, would you rather watch the whole game sober, or watch your team lose? Why are you planning to increase room rates in 2016?